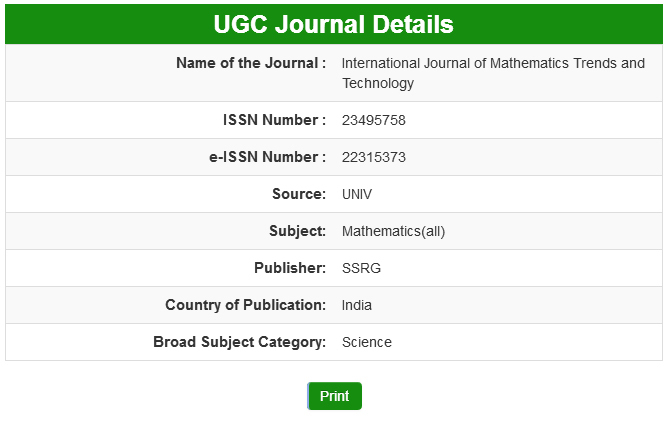 International Journal of Mathematics Trends and Technology - IJMTT encourages academicians to organize the National / International conferences in association with IJMTT in the name of special issues on common topics of interest. • Proposals from academicians significantly involved and recognized in their field will be considered. • Proposals from honorable members of the Review and associated Boards of IJMTT are acceptable. • Guest editors can eligible to co-publish the special issue with IJMTT. • Guest editors are eligible to apply for IJMTT Research activities & programs. • Name of the organizer / Institute / University / etc. and details. • Title of the special issue. • Indicate the time-scale in which the special issue could be produced ( paper writing, reviewing, and submission of final copies to IJMTT ) assuming the proposal is accepted.